Thank you for joining as at the 7th Annual Walk For A Lifetime. Your donation supports the programs and services for individuals of all ages with autism spectrum disorder and related disabilities at Spectrum360. With your support, Spectrum360 provides comprehensive services that go beyond the basics. We provide a source of comfort and security; building independence in each individual. We are more than a school or a day program. We couldn't do it without the support of community partners and friends like you. Thanks to you, we can better meet the unique needs of each individual we serve and guide them along the road to independence. Your kindness has changed someone's life. We thank you for your committment to the work we do at Spectrum360. With your partnership, we will successfully continue our mission to offer options across a lifetime. On behalf of the Executive Board of the Theordore Roosevelt Council of the Boy Scouts of America and the entire event committee. I would like to thank you for your generous support of our 10th Anniversary Sigar Dinner. Please know how grateful we are for your gift. It is thanks to the support of friends in our community like you that the Theodore Roosevelt Council of the Boy Scouts of America can continue its mission to provide the nation's foremost youth program of character development of values-based leadership training, helping young people be "Prepared. For Life." The Ocean County Foundation for Vocational Education would like to thank you for your donation to our 23rd Annual Chef's Night Out. Your outstanding effort, generosity, and support is truly overwhelming. We have heard nothing but wonderful compliments regarding the food and spirits, as well as the presentation of both. All of the generous donations were happily recieved. Our 23rd Annual Chef's Night Out was truly a collaborative effort, and it could not have happened without the community involvement that was receieved from each and every person. Once again, thank you so much for all that you did! On behalf of the Board of Trustees of the East Brunswick Education Foundation, I am writing to express our appreciation for your advertisement in the program for our Annual Partner in Excellence Dinner. We are sincerely grateful for your donation, which will enable us to continue to achieve our goal of enriching and enchaning programs for students throughout the East Brunswick Public Scools. The funds will be used to provide grants to teachers for innovative programs at all grade levels and in all schools in the district. Thank you again for your advertisement. We look forward to your continuing support. Thank you for supporting the Boys & Girls Club of Northwest New Jersey Dinner Dance. We very much appreciate this support. Proceeds from theevent help us raise critical funds to support our quality educationa and recreational programs and activities for young people. Through the compassion of our supporters, our Clubs provide our members with a safe, positive environment to play, learn and grow. It is a place where our young people feel connected to our caring staff and develop leadership skills, respect for others, and the confidence to succeed. Thank you for your role in helping to build this powerful foundation for the more than 5200 youth and teens that we serve annually. Thank you for your recent donation to Quality Services for the Austism Community (QSAC) in support of our annual Bowl-A-Thon event. Your generosity has a significant impact on our mission to support individuals with autism in achieving greater independence realizing their full potential. QSAC provides educational, residential, habilitation, support, and recreational programs for more than 2400 children anc adults with autism and their families. In addition, QSAC's free parent and educator training programs reach more than 4000 people each year. As we continue to experience an increasing demand for specialize services for the autism community, your generosity makes our work possible. Thank you for your generous donation and support of Parent Project Muscular Dystrophy and families living with Duchenne and Becker muscular dystrophy. Your donation in support of our Race to End Duchenne team at the 2019 Walt Disney World Marathon Weekend is very important to us, and enables PPMD to lead the fight to end Dechenne. Thank to support from our partners and donors like you, PPMD is making progress in the fight. In recent years we have seen advancements in all areas; innovative Duchenne research, optimal care initiatives and important advocacy efforts. We have led the effort to bring treatments to market and ensure that people with Duchenne remain a priority in this ever-changing landscape. PPMD will continue to fight until every person diagnosed has access to trearments. We will continue to accelerate research, raise our voices in Washington, DC and work to improve care for all diagnosed. PPMD is redefining what life with Duchenne means. We can't do it alone and, because of people like you, we don't have to. We hope that our work continues to inspire your support. Thank you for your support and for joining the fight to end Duchenne. I would like to thank you for your recent donation/sponsorship to the Kiwanis Club of East Meadow in support of our Pancake Breakfast. Your support is crucial to the good work we do in the East Meadow community and we will now be able to do even more. Your financial contribution and/or gifts-in-kind allow us to defray the costs of the breakfast and those savings, along with the funds we raise, will quickly be put to good use. Given the many charitable causes our Club supports, you have now directly influenced the lives of many people. This is a result of your generosity and the volunteers of East Meadow Kiwanis.Once again, thank you for your support. On behalf of Lakeland Bank, I would like to take this opportunity to thank you for being a sponsor for our 46th Annual Scholarship Fund Golf Outing. Your support has enabled us to raise over $190,000 so we can continue to offer a scholarship to a college bound graudating senior in each of the seventy-three different local high schools in our market area. Thank you again for supporting our annual golf outing and making it a success. Essex Community Land Trust, Inc.
On behalf of Essex Community Land Trust (ECLT), I would like to thank you for your contribution to our 2018 fundraiser, "A Toast to Permanent Affordable Housing". The Essex Community Land Trust was created to strengthen communities by providing permanently affordable housing and financial empowerment opportunities for working families and individuals throughout Essex County. Because of your generous donation, we are able to continue this kind of work of providing permanent affordable homeownership opportunities throughout Essex County, New Jersey. Again, we thank you for your generosity and look forward to the opportunity of working with you again soon. 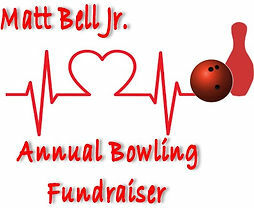 We are writing to express our thanks, for supporting us this year for our annual Bowling for Bell fundraiser; hosted by the Matt Bell Jr. Foundation. Our organization cannot put into this letter how appreciative we are. On a professional note, we are forever grateful for your contributions. On a personal note, it was great meeting you. We hope to see your business grow with you, supporting you and being a place you want to go each day. The Matt Bell Jr Foundation is inspired by your dedication and look forward to working with you again in the future. It is because of your continuous generosity that we can help to provid some financial and moral support towards scholarships and those families in need of cardiac help. As stated before, our wish is that business conitnues to be successful in the upcoming year and may the generosity you bring to your community and others around you, come back ten-fold. We are all truly honored to call you "friend." The Bridge to Life would like to thnak you for your donation to our annual dinner/dance on April 7, 2019. On behalf of all the mothers, babies and children, we sincerely thank you. Our entire staff at A Need We Feed, Inc. would like to extend our gratitude and appreciation for your company's donation to our 1st Annual Casino Day Event at Aqua Blu. With your continued support, we look forward to making our annual event an even bigger success next year. It is with greatest gratitude that I write this letter, thanking you for your commitment to Timothy Christian School, and the ministry that God has called us. This has been a wonderful year of blessing, and you have been a part of that blessing with your faithful giving. Your donations in all areas have made a difference in the lives of our students. We are grateful for your willingness to partner with us to change lives for Christ. May you be richly blessed for your faithfulness! Thank you so much for your generous gift received on Tuesday, December 18, 2018. Your donation enables us to provide meals to food-insecure individuals who participate in programs and services offered by our network of more than 1,000 community partner agencies. Thank you for playing a role in advancing our mission. 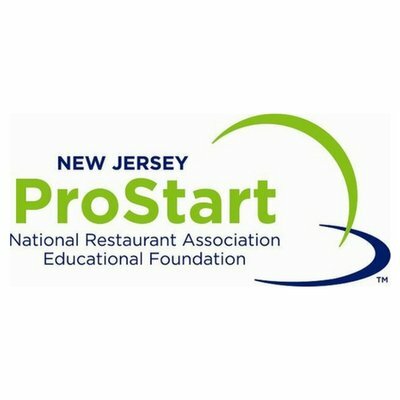 The New Jersey Restaurant Educational Foundation thanks you for your support and dedication to NJ students. Without your online donation, the NJREF would not have the ability to award scholarships to students who are passionate, dedicated, and ambitious to work in our industry. On behalf of all past and future students, the New Jersey Restaurant Educational Foundation thanks you for helping us ignite the future! We hope that you will continue to volunteer your time with the NJREF. Because of the generosity of donors like you, the GFWC Rotonda West Woman's Club's Designer Bag Bingo fundraiser was able to net over $5,600!! The proceeds will be divided between our chosen charities: Back Pack Kidz, C.A.R.E. and RWWC's Education Programs. The GFWC RWWC Education Community Service Program provides, among other things, scholarships to local students and works to educate and encourage members and others to foster and support educational opportunities to all ages. Thank you for your gift for The 2019 Valerie Fund Walk & JAG Physical Therapy 5K through Applebee's. Your gift is already at work reducing the emotional impact on a child with a life-threatening childhood illness. Through your gift, you are helping to lay a foundation for The Valerie Fund kids' future happiness and success. Thank you again for your generous gift and for making The Valerie Fund a priority. They are truly some of the bravest kids we will ever know. Thanks to you, Special Olympics New York can continue its primary goal of utilizing sports to help persons with intellectual disabilities participate as productive and respected members of society by offering them a fair opportunity to develop and demonstrate their skills and talents. We celebrate ability, dedication, accomplishment, teamwork and community. We invite you to join us at our inspiring events and experience firsthand what your generosity, and that of so many others, has done for our athletes. Again, thank you for supporting our athletes - you are a part of their lives now too. On behalf of Memorial Sloan Kettering Cancer Center (MSK), I am honored to share our gratitude for the gift from Doherty Enterprises, LLC. The most thoughtful donation will support breast cancer research under the direction of Dr. Larry Norton. Please know that your generosity makes substantial progress possible. You are seeding innovation and speeding translation of discoveries from the laboratory to the clinic. We rely on the generosity of friends, like you, who recognize the importance of our mission. Thank you for standing with us. Thank you so much for your generous contribution to New Jersey's 2018 Out of the Darkness Walk series. Your involvement increased awareness, reduced stigma, and raised significant funds to provide educational programs, trainings, and resources free of charge in the community. I'm so grateful for your incredible donation in support of our walks and AFSP's mission to save lives and bring hope to those affected by suicide. Thank you for joining us in 2018 in EAC Network's 2018 Community Partnership Program. With your participation, we are completing the third full year of this mutually beneficial program. As a Community Partner your support has played an integral role in helping EAC Network provide over 100 different services and programs to over 82,000 people in need throughout Greater New York. Thank you again for joining us as a partner in 2018. We look forward to your continued support. Thank you for your in-kind donation in support of Spectrum360's Hall of Fame Dinner on November 14, 2018 at The Park Savoy. The kindness and generosity of Spectrum360's friends and family are truly humbling. Your kindness will help us to provide comprehensive educational, vocational, and therapeutic programs for individuals on the autism spectrum and with related disabilities which affect their communication, behavior, and learning. Our goal is to address the needs of the whole person, so that each individual might become an independent, productive member of the community. We appreciate your generosity and your dedication to making a difference in our communities! Always remember that your compassion strengthens our communities, and is the foundation for humanity. We are very grateful for people like you, who give back and never forget how much effect a small act of kindness can make! It takes more than one entity to help support children and families heal and thrive. We work hard toward for the day when we are no longer needed. On behalf of the Board, staff, and youth we serve at Visions and Pathways, we appreciate your continued support. For more than 45 years, Visions and Pathways has been a safe haven for abused, neglected, homeless, and missing youth. Because of your support, we have improved the lives of nearly 400 youth this year. We cannot do it without you. Please know that your donations make a significant difference. We hope you enjoy the Year-End 2018 Newsletter. Together, we are impacting lives and changing outcomes for youth, families, and the community. Thank you for your generous support of Temple Beth Am Brotherhood's 18th Annual Golf Outing on Thursday, June 14 at Middle Bay Country Club. The Panera Bread sign was displayed on the course. All of our golfers and many other people who were at Middle Bay on June 14 saw the sign. Our members enjoy both Applebee's and Panera. Best wishes for a Healthy, Happy and Successful New Year! On behalf of Stand Down an initiative of Faith Hope Love, Charity, Inc., I would like to thank you for the excellent service of your staff for Our VETERANS last fall. It was a true pleasure for all the patrons! WOW! We couldn't have been happier with the excellent service provided us by your staff! Great food and we felt as though we got the "ROYAL" treatment! A definite Win-Win for our veterans THANK YOU! Because of friends such as yourselves Stand Down will continue to serve thousands of veterans & their families over the next year. On behalf of Veterans who protect us, and have fought on our behalf please accept our sincere gratitude. You and Stand Down making a profound difference in the lives of veteran's! I would like to take this opportunity to thank you for your very generous donation which greatly contributed to the success of our 2018 Casino Night at the Memorare Hall in Seaford, New York. Your gift enables us to continue to provide the finest educational and therapeutic programs to our children and their families; helping them reach their full potential and turning dreams into reality. Once again, please accept our deepest gratitude for your generosity and support and we wish you a very happy holiday season. On behalf of the entire Link community, thank you for your recent gift in support of the 21st Annual A Taste of Newark, held on November 7, 2018 at the New Jersey Performing Arts Center. Your generous gift to Link Education Partners in support of A Taste of Newark will ensure current scholars can have the same opportunities as Eriqah. Thank you for giving to Link Education Partners so we may give our scholars the starting point to a successful future! 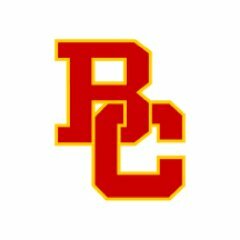 The Bergen Catholic Cheerleaders extend our thanks to you for your generosity. Your contribution enables our organization to enhance and support the cheerleding program for our student-athletes of Bergen Catholic High School, Immaculate Heart Academy & the Academy of the Holy Angels. From our family to yours, we wish you a wonderful holiday season. 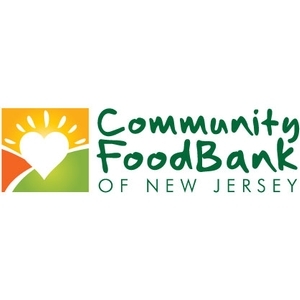 On behalf of our Board of Trustees, our staff of thousands, and the people we support, I would like to thank you for the generous contribution designated to our Centereach program. Your gift will immediately, positively, and directly impact YAI's ability to fulfill our amazing mission. Your support is a big reason we can continue to offer people with intellectual and developmental disabilities a broad range of opportunities to live, love, work, and learn. Thank you again for helping us make a powerful difference in the lives of so many! Children's Network of Southwest Florida would like to thank you for your most generous donation. Your generous contribution enables us to help support children in the foster care system, many of whom come into care with little or no belongings, as well as assist families that are at risk of abuse and neglect. Your willingness to help support abused children in need makes a significant impact on their lives and we are eternally grateful. Once again, thank you for your kindness, thoughtfulness, and continued support. Thank you for your dedication to Nassau Community College. Your involvement is paramount in the development of our students achieving their academic goals and reaching their full potential. We are looking forward to enhancing the lives of so many who attend Nassau Community College and appreciate your continued commitment! Thank you for your support of AHRC Suffolk's 2nd Annual Connect for a Cause. Thank you for your generosity, compassion and ease in aligning with the important message of inclusion - a conversation that's more important now than ever. On behalf of all of us at The New York Foundling, thank you for your generous donation to support our students at Haven Academy. We are deeply fortunate to have the City Santas as part of our Foundling family. We wish you and yours all the best for a peaceful holiday season. Thank you for being a part of our community that is tackling the gravest threats facing moms and babies. Together we are making a difference. Thank you for supporting March of Dimes and joining the fight for the health of all moms and babies. On behalf of Literacy Volunteers of Somerset County, I would ilke to thank Doherty Enterprises. Your donation directly contributed to the great success of our 2nd Annual Gold Fore Literacy outing. LVSC is a small, grassroots organization, so we rely on donations and event proceeds to provide services to 450 students annually. By sponsoring Gold Fore Literacy, you're helping to strengthen lives and build community; thank you! On behalf of Camden House, thank you for being a generous sponsor/donor. With your support, this event was a resounding success. With your help we are able to keep our focus on what's important - people and the dogs that help them. Thank you for continuing to support the Guide Dog Foundation. While nothing can replace sight, with a guide dog by their side, an individual can go wherever they want - safely and independently. Your gifts open the world to someone by giving them the gift of Second Sight. Thank you for your generous support of Scouting! Our committee members, adult leaders, and council executive board deeply appreciate your participation and generous support. On behalf of nearly 1000 Seniors and disabled patients and their families who are helped each year by HomeCare Options, we would like to thank you for your support for our First Annual Golf Outing. Your support helps us to care for many of the most vulnerable members of our communities throughout Passaic County. 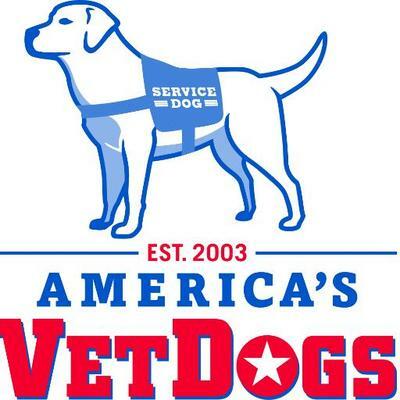 On behalf of America's VetDogs, we thank you for sponsoring the 4th Annual Long Island Run & Dog Walk held on Saturday, July 28, 2018 at Old Bethpage Village Restoration in Old Bethpage, NY. Your support of America's VetDogs and its events and programs is much appreciated. We hope to see you next year at the 5th Annual Long Island Run & Dog Walk. On behalf of the Holy Name Medical Center Foundation, thank you for your generous gift-in-kind contribution to support the 21st Annual Spring Fashion Fling to benefit the MS Center at Holy Name Medical Center. On behalf of all the patients and families we serve at the Holy Name MS Center, thank you for your generosity and support.